Madrid has always been one of the most attractive cities for tourists who visit Spain throughout the year. Among many landmarks that can be seen at the Spanish capital, the Santiago Bernabéu stadium will always draw every tourist and Madridista attention. 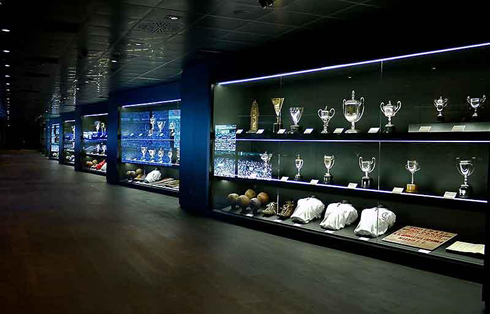 This past week, the club has finally decided to start including a visit to the first team's dressing room in the "Bernabéu Tour" program, something that wasn't possible to do in the past. 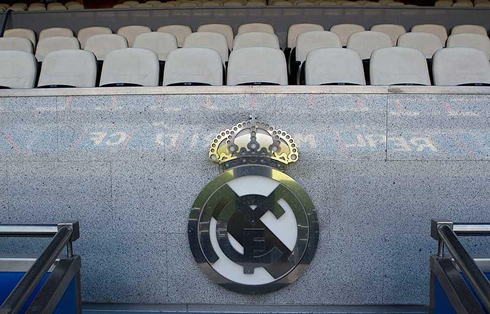 A few days ago, Real Madrid has announced that the Santiago Bernabéu stadium tour will include from now on a visit to the first team's dressing room. 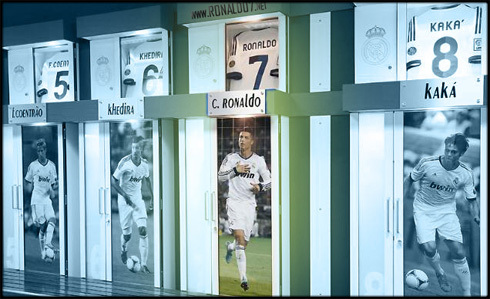 The "better late than never" old saying, fits like a glove in this situation and whoever decides to visit Madrid in the near future, will certainly avoid missing this opportunity to step in into one of the most iconic locker rooms in sports. 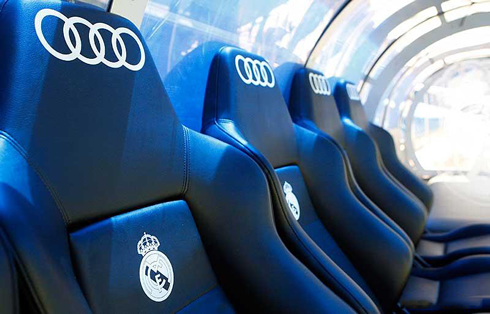 Fans will be given an unique experience, as they will witness in first hand the luxury of the dressing room where football stars like Cristiano Ronaldo, Kaká, Iker Casillas or Mesut Ozil gather around, before every single game hosted at the Santiago Bernabéu. 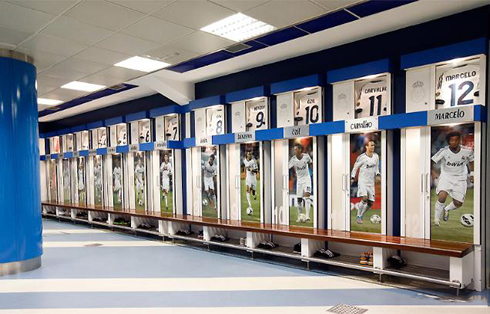 For a very long time, Real Madrid has had a highly restricted access to the Santiago Bernabéu first team's dressing rooms. Until last week, only the visitors dressing rooms were open to the public, but everything has changed now. 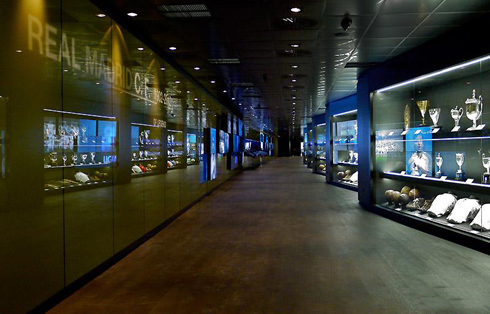 The club is clearly attempting to open their doors to the fans and has started allowing everyone who purchases a "Santiago Bernabéu Tour" ticket, to visit the first team's locker rooms. You won't be able to meet Cristiano Ronaldo in person, but at least, you'll see in first hand where CR7 changes his outfit and focus before every Real Madrid home game. The "Bernabéu Tour" ticket is available for purchase for those who hold a Madridista card, as well as to the public in general. Prices go between 9€ and 19€ and it's free for kids under 5-years old of age. - Panoramic view of the Stadium: The Bernabéu Tour starts precisely in one of the 8 panoramic lifts of the stadium, which allows the visitors to get an initial idea of how big Real Madrid's greatness and dimension really is. 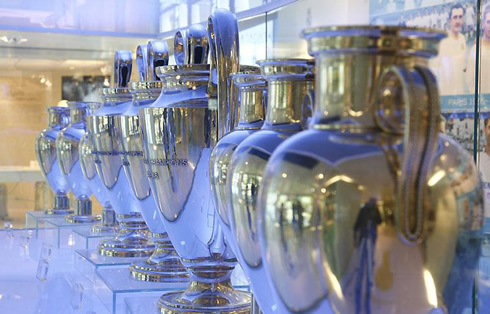 - Trophy Room: There's no club in the World with a more majestic trophy room than Real Madrid. 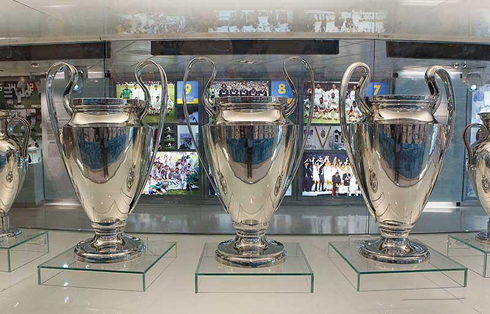 European Cups, Intercontinental Cups, League titles, Spanish Cups, UEFA Cups, Spanish and European Super Cups, and many other titles are part of an impressive gallery that has no parallel in any place of the World. 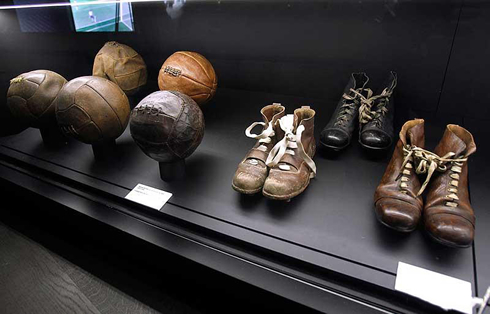 Besides being able to look at the trophies, you'll also see several videos of legendary past games, historical kits, photos from players in the first team, boots, equipment and plenty other memorabilia. - Walk around the pitch: Did you ever thought about stepping on the Santiago Bernabéu turf? Don't be shy to walk around and just imagine the excitement of a full packed stadium roaring your name in a big game night! - Presidential Balcony: The Presidential Balcony is an illustrious area, reserved for Real Madrid Board Members, directors or representatives from the visitors' sides, VIP celebrities and special guests. 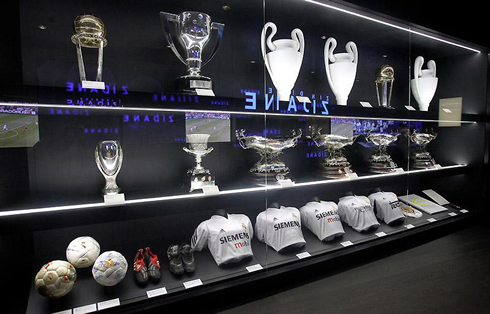 It's also on this area that in the past, several Real Madrid captains have received the titles the team has won. - Players' tunnel, benches and Coaching Area: This is one of the "must see" areas in any stadium. 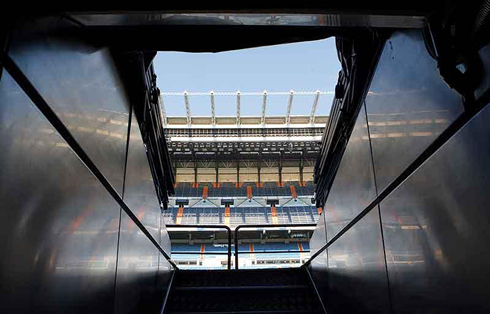 Similar to the entrance of a gladiators arena, at the Santiago Bernabéu the players' tunnel is the access point to the benches and the coaching area. You can take photos at your free will and experience the magnitude of this emblematic zone of the stadium. - Dressing rooms: The most recent addition to the Tour. 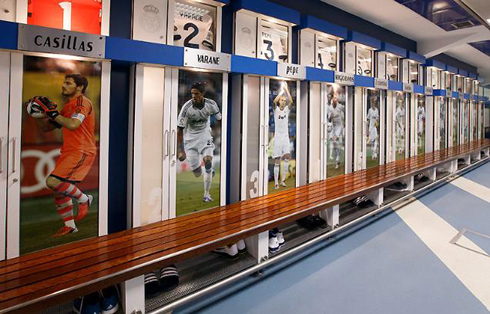 The Santiago Bernabéu Stadium has some of the most modern locker rooms in the world of sports. 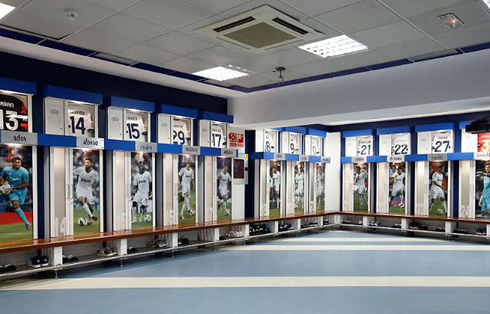 Real Madrid recently granted access to first team dressing rooms for everyone who purchases a Bernabéu Tour ticket. 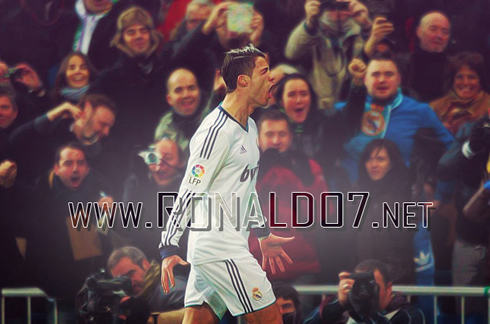 This will surely be one of the best experiences any Real Madrid fan can have! 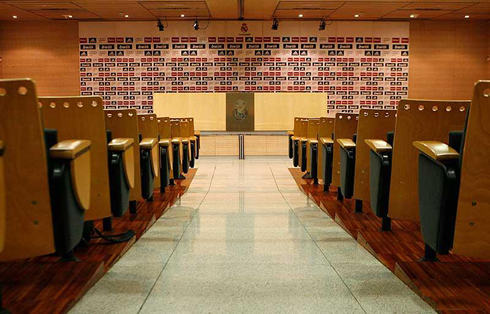 - Press Room: You can walk around in the area where most of the press conferences take place these days, just after Real Madrid matches are over. Are you ready to feel a tiny sample of the pressure that José Mourinho gets from a crowded room with journalists trying to get under his nerves? 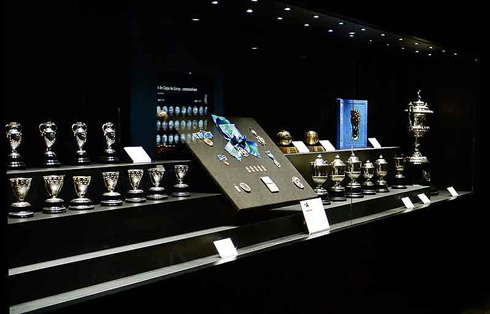 - Store: Real Madrid's official store allows the fans to take a look at a wide variety of official merchandise, where you may purchase a souvenir either for you or for someone special that didn't travel with you to Madrid. 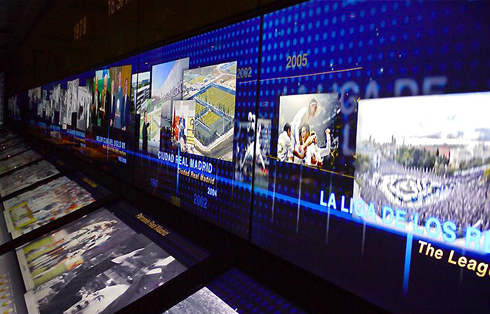 The Santiago Bernabéu Tour is very popular all around the World and it's not surprising that over the last season (2011-2012), from the 850.000 visitors that the Tour has received, only 52% of those where actually from Spain. Countries like the USA, Mexico, Portugal, Brazil, France, United Kingdom, China and Japan, are on the top of the traffic list. We hope this information may help those who are planning to visit Madrid soon, but you can get access to more data at Real Madrid's official website and more particularly at this page: Real Madrid link. Cristiano Ronaldo next game for Real Madrid will be against Celta de Vigo, for the next round of the Spanish Copa del Rey, this Wednesday (December 12, 2012). You can watch Juventus live stream, Celta de Vigo vs Real Madrid live, Cordoba vs Barcelona live, Manchester United vs Sunderland live and Sporting vs Benfica, all matches provided from our football live streaming section.